Question: I have JSON-formatted string. 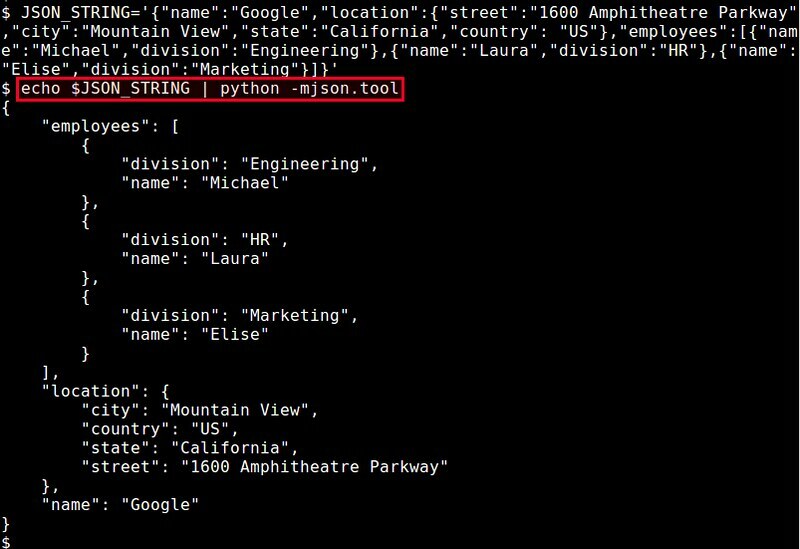 Is there a quick and easy way to display JSON string in a human readable format, preferably from the command line on Linux? When you are developing a web application, you may often deal with JSON-formatted input/output. When you are inspecting such JSON-formatted data, you may want to see it in a human-readable format (e.g., with proper indentation and line breaks). In this case, you can use Python's JSON tool. This tool is used to validate and "pretty-print" any JSON-formatted text. It can be invoked with Python interpreter with "-m" option. If you are looking to extract individual elements in a JSON-formatted string, you may want to use a more powerful JSON parsing tool such as jq. Another alternative is to use json-csv.com which will display the data in a CSV spreadsheet. How to fix "fatal error: openssl/aes.h: No such file or directory"
How to fix "configure: error: pcre.h not found"